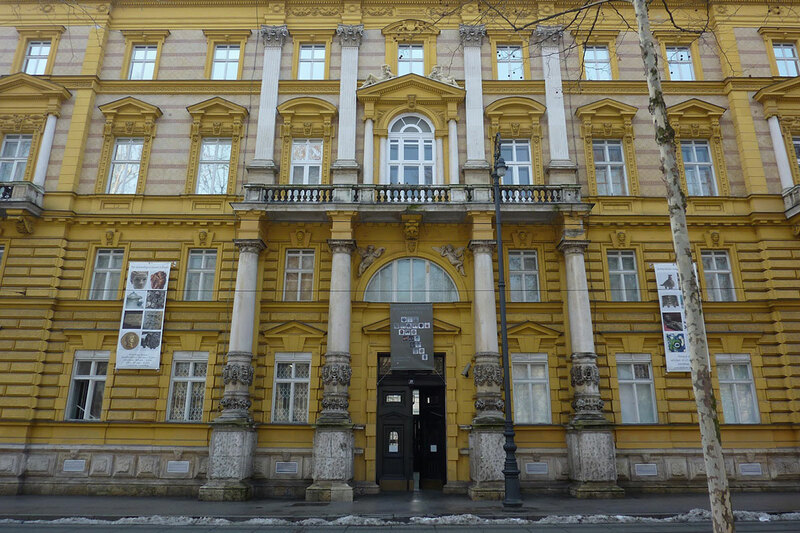 The Archaeological Museum in Zagreb was founded in 1846. It is located in the historicist Vranyczany-Hafner Palace. The valuable museum holdings of circa 460,000 items are systematically arranged in appropriate collections. The prehistoric collection is a depiction of the development of many cultures, from the Palaeolithic to the Early Iron Age. In the Antique collection there are monuments of Greek origin, and Roman monuments of domestic and foreign origin. The medieval collection follows a chronological system from the period of the Great Migrations to the later Middle Ages. The Egyptian collection is the only one of its kind in the south east part of Europe. An exceptional find is the Zagreb Mummy in linen bands with the world's longest extant Etruscan text. The numismatic collection is one of the biggest and most important in Europe and indeed in the world. The Museum has a fine library with more than 50,000 titles. In the courtyard of the museum lies the "Lapidarium" with an interesting collection of Roman stone monuments. The Museum also takes care of the Archaeological Park of Andautonia in Scitarjevo, where the remains of an ancient city from the 1st to the 4th century are preserved. Drazen’s legacy live in the memory of millions of basketball fans across the globe. Croatia, the homeland that he was so proud of has honoured their native son in the form of this institution. To honour everything he was, is, and his achievements, Dražen Petrović Memorial Center has been built. The Memorial Center offers a place to experience his life and accomplishments as a man and an athlete of exceptional perseverance. 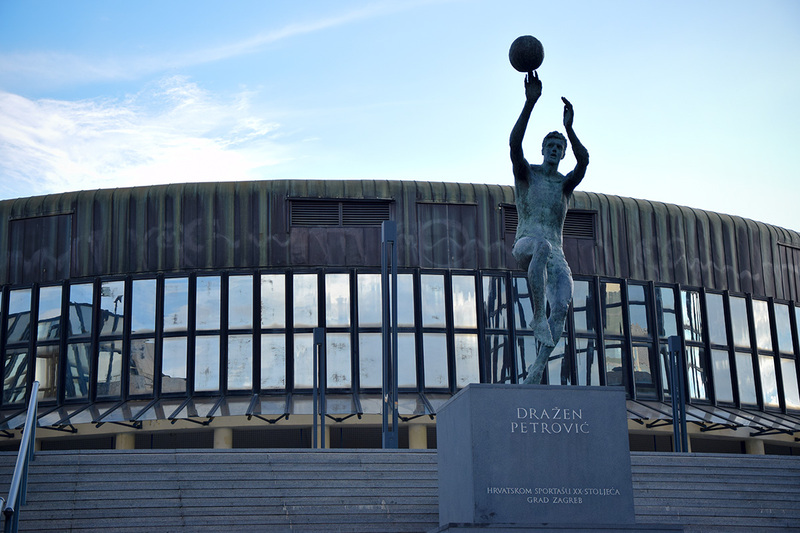 The Memorial Center contains a museum as a vision of Biserka and Jole Petrovic, Drazen's parents, with a great collection of Dražen's memorabilia, and a gift shop. Today, Dražen is considered a Croatian Mozart, because he turned basketball into an art form. 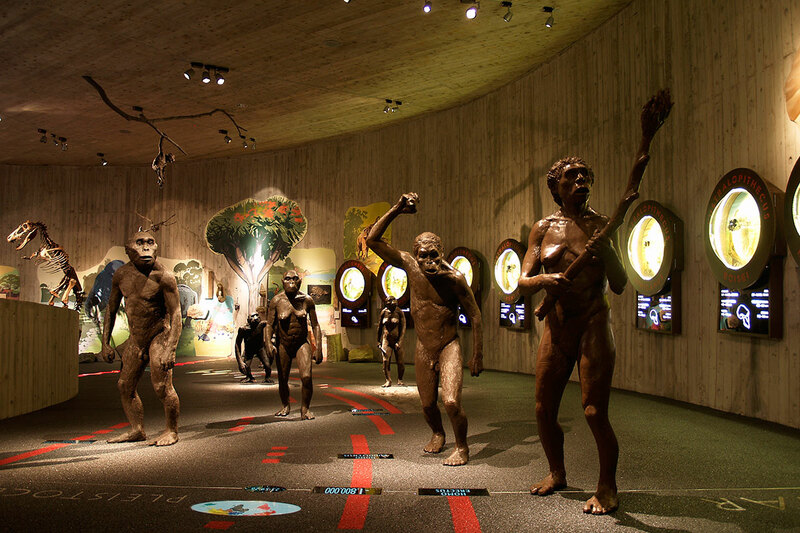 The new Krapina Neanderthal Museum is located near the world famous site of the Krapina Neanderthals „Hušnjakovo“, a fact which makes it a unique visiting complex. The Museum's architecture evokes the habitat of the prehistoric man: the semi-cave, the volume, proportions and the front of which are a result of the analysis done on the appearance of the ancient Krapina semi-cave. The Krapina Neanderthal Museum covers a surface area of around 1,200 m² and is one of the most modern museums in Croatia and central Europe. The discovery site scientifically known as Homo sapiens Neanderthalensis, the Krapina prehistoric man was discovered all the way back in 1899, when geological and Palaeontological research started on Hušnjakovo hill in Krapina. Some nine hundred human fossil bones were found in the cave's sandstone deposits, which were 8 meters high. This is the largest and most abundant collection of Neanderthal people collected at a single locality. The bones belong to the fossil remains of several dozen individuals, both male and female, from 2 to 40 years of age. 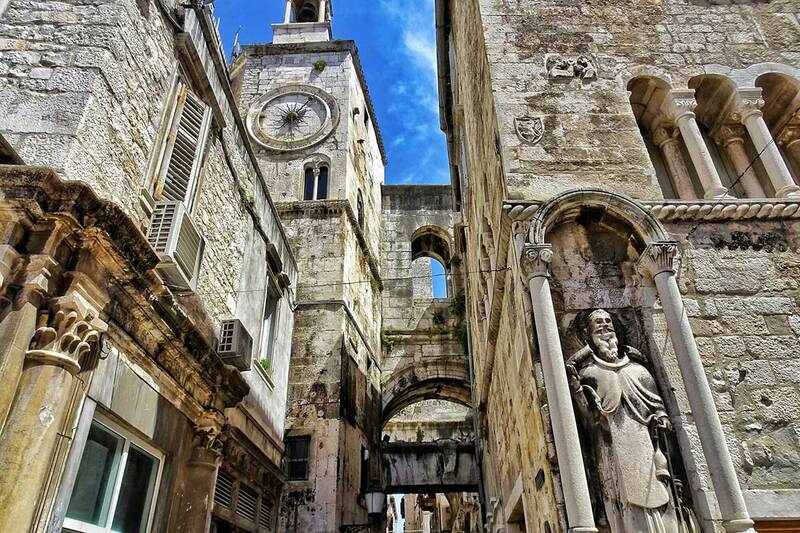 Diocletian Palace is one of the best preserved monuments of the Roman architecture in the world. The Emperor's Palace was built as a combination of a luxury villa - summer house and a Roman military camp (castrum), divided into four parts with two main streets. Southern part of the Palace was, in this scheme, intended for the Emperor's apartment and appropriate governmental and religious ceremonies, while the north part was for the Imperial guard - the military, servants, storage etc. The Palace is a rectangular building with four large towers at the corners, doors on each of the four sides and four small towers on the walls. The lower part of the walls has no openings, while the upper floor is open with a monumental porch on the south and halls with grand arch windows on the other three sides. Over the centuries the Palace inhabitants, and later also the citizens of Split adapted parts of the palace for their own requirements, thus the inside buildings as well as the exterior walls with the towers significantly changed the original appearance, but the outlines of the Imperial Palace are still very visible. The Pula Amphitheater or Arena is one of the six largest Roman Amphitheaters in the world. Erected in the 1st century during the reign of Emperor Vespasian, it was primarily used for gladiator fights in front of 20,000 spectators. 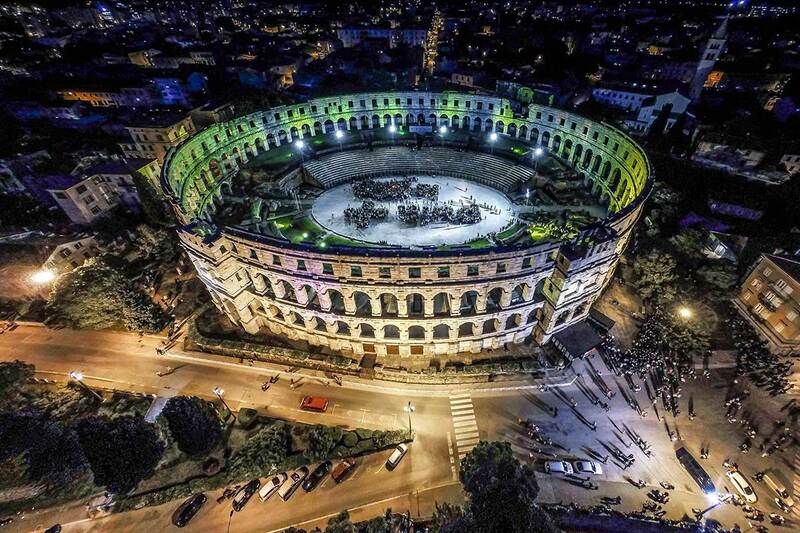 Elliptic in shape (132 x 105 meters and 32 meters in height), the largest ancient building in Istria is open for sightseeing during the day and becomes a perfect place for pop rock concerts, operas and ballets in nighttime, as well as the film festival with a 50-year tradition. 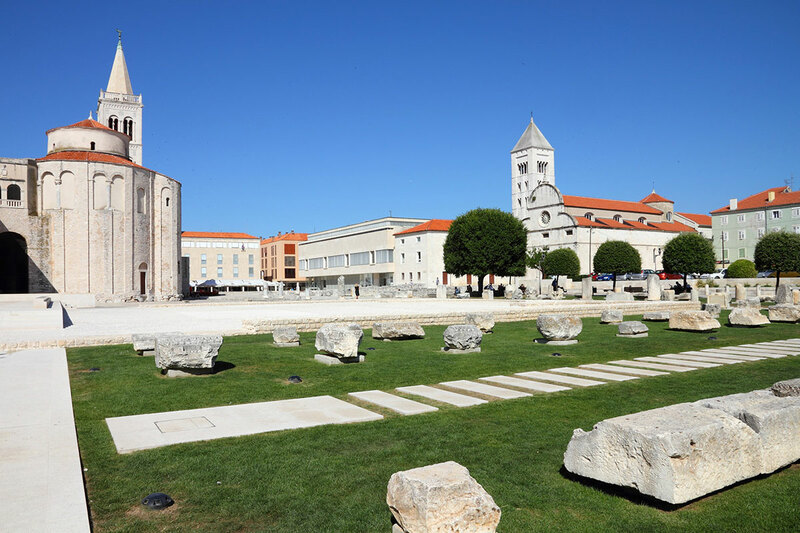 Located in front of the church of Saint Donat and the Archbishop´s Palace it is a municipal square from the Roman era, built from the 1st century BC commissioned by the first Roman Emperor Augustus to the 3rd century AD, 45 by 90 meters in size. The Roman Forum in Zadar is the largest forum in Croatia. It had closed porches with galleries on the first floor and under the porches, there were shops and workshops. Today only the original pavement and stairs have been preserved with two decorative monumental columns of which only one stands in its original place. It was once used as a column of the shame with chains from that period still hanging on it. In the reconstructed part of the capitol, in the pavement, remains of an altar have been found where rites with blood victims were performed. Even today it is the starting point of the city planimetry.